The Loire valley is one of the most beautiful regions of France. Adored by the Kings of France, the loire valley became their playground. Magnificent castles and towns were fashioned for them and their entourages. As a result many towns, with their fairytale chateaux and beautiful white limestone buildings, are quite magical. 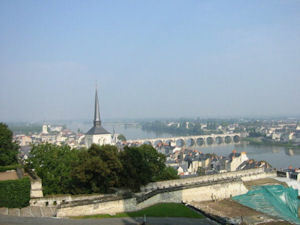 It is no surprise that the Loire valley has been proclaimed a UNESCO world heritage site. The many chateaux, abbeys, churches and other historical buildings ensure some fantastic sightseeing. The Plantagenet monarchs, Henry II and his wife Eleanor of Aquitane and their son Richard the Lionheart are buried at the impressively restored Fontevraud Abbey near Saumur. Saumur chateau perched high on the cliffs above the Loire, once the residence of the Dukes of Anjou is now a museum. 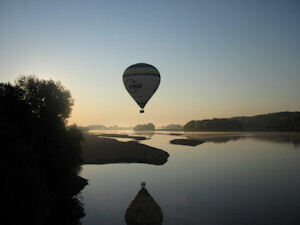 Please view our Loire valley photo gallery. The beautiful town of Saumur is just 15 miles from Manoir de Gourin. On the banks of the majestic Loire and with its fabulous tuffeau buildings, wealth of museums, art galleries, chic shops and gastronomic restaurants Saumur is a tourist hot spot. It is the national Equestrian Centre of France and home to the renowned Cadre Noir Regiment. During the season the Cadre Noir present regular shows of outstanding horsemanship and offer guided tours of the school. Within the Loire Anjou natural regional park, the landscape surrounding Manoir de Gourin is unspoilt, with an abundance of charming villages. Known as the garden of France, due to its fertile soil and temperate climate, the region is used extensively for arable farming with fields of golden sunflowers glowing in the sun alongside the vineyards. The centre of rose production in France is also here, in our local town of Doue la Fontaine, ensuring colourful fields full of the heady scent of summer. Consequently the region has much to offer walkers, cyclists, keen gardeners, fishermen, bird watchers and horse lovers. In addition to its precious historical heritage the Loire valley has another source of wealth – its array of unique wines. The history of winemaking in the Loire valley is linked to the history of France and its nobility. Winemaking started seriously in the fifth century and it owes its development to the nobility. To ensure quality worthy of royal tastes and the sophisticated palates of the Parisians, the winemakers created highly renowned wines and do so still. The Loire valley is a region of abundance and good living, a source of wonderful wines and flavours and generous winemakers. Loire wine tours would like to introduce you to its pleasures. 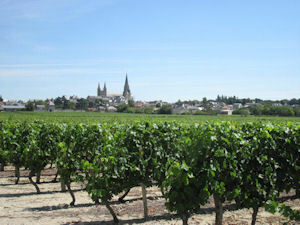 Please view our loire wine tours photo gallery.